ShipWire Track shipment and Inventory details module for Shipping section of Interspire. 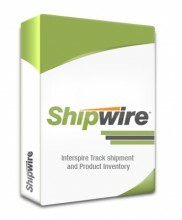 This Interspire Shipping module allows your shopping cart to estimate the shipping cost and direct order post to shipwire with affordable shipping method and get the tracking number, And track the order status of the selected order for the customers, And display the inventory details form the shipwire warehouse for the administrator. This can be convenient for giving your client and administrator. The module provide detailed installation instructions with simple steps and user friendly interfaces. Click the button below to add the ShipWire Track shipment and Inventory details to your wish list.